We have organised from the hotel fantastic helicopter tours of the beautiful Snowdonia National Park a land of mountains and magic, waterfalls and wonder, it has it all, no other part of Britain has so much in such a compact area. Take a fantastic trip from the picturesque setting of Betws-y-Coed, to marvel at the breathtaking scenery. All flights depart directly from the hotels grounds. The highlights of Snowdonia - Conwy falls, Dolwyddelan, Mount Snowdon, Capel Curig and the Swallow Falls. Routes may vary depending on the weather; e.g. the 30 min flight could be changed to one that explores the Conwy Valley. Flights take place on certain weekends throughout the year please call for dates. Flights will be shared with up to 3 others. Max weight 17st. Children under 14 must be accompanied by an adult. If you are interested in taking a flight please e-mail snowdoniaadventurehub@gmail.com flight places are limited and demand has been very high. 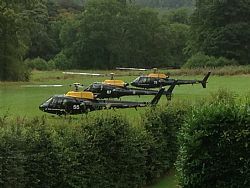 We are offering an opportunity to see this exceptionally stunning part of Britain by Helicopter!